Watasale, India's first autonomous retail store is now open in Kochi | Vipin Das P.
Imagine entering a store, bagging your goods and skipping out. No queues, no checkout counters— that's exactly what Watasale, the new autonomous store, promises. The first ever such store to be open in India operates from Gold Souk mall in Kochi. They follow a similar model as Amazon Go, the world's first autonomous store. “We use a combination of touch sensors, AI (artificial intelligence) and computer vision—pretty much the same technology as in a self-driven car,” explains Richu Jose, COO of Watasale. 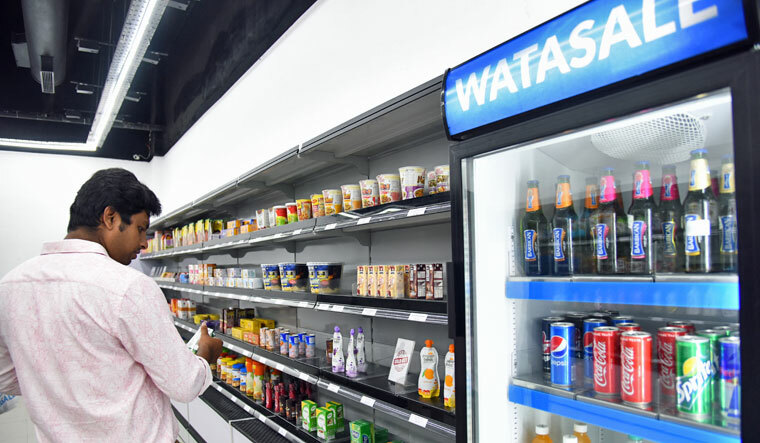 The name, Watasale, has been coined to signify the whole user experience of going to a retail outlet and purchasing items sans a queue for billing. This has been the pet project of five friends who come from technology and retail backgrounds. 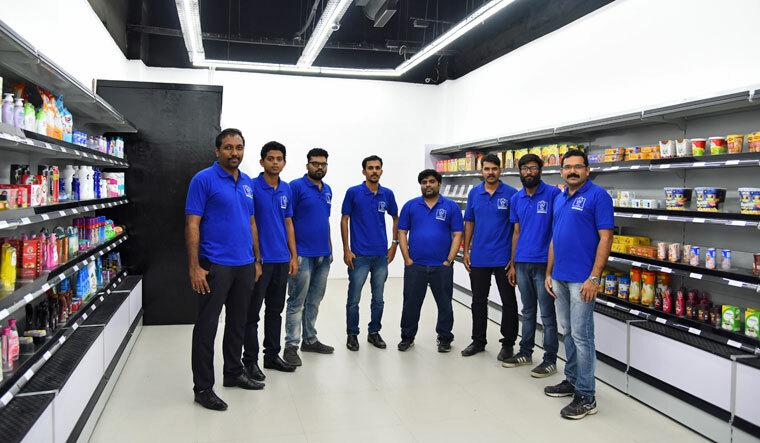 It has taken Richu Jose, Rajesh Malamal, Subash S., Dileep Jacob and Vinci Matthews three years of brainstorming and trial runs in a garage to finally launch the store. “We have so far utilised our funds,” says Richu. The company, however, recently received an investment offer from Japan’s largest corporate group—the Mitsui & Co Ltd. Shoppers at Watasale have to download the app and scan the QR code generated to enter the store. Then, what all the customer has to do is, keep adding items into a bag and walk out when they are done. 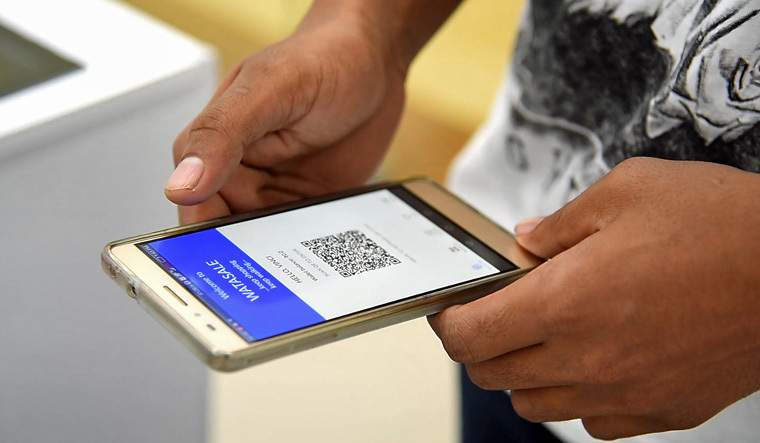 “Right now, the items aren't reflected immediately on the app and the bill is generated a few minutes after you walk out of the door, but we are working on smoothing it out,” says Rajesh Malamal, chief of marketing operations (CMO). However, if you place an item back on the shelf, that's alright, too, your final bill will not reflect the item. Watasale mobile app | Vipin Das P.
The store is very elementary right now, with two shelves featuring lifestyle and food products. “The pilot store is also a trial run of sorts until we open more stores on a larger scale,” explains Rajesh. “The footfall hasn't been bad. There has been a mix of youngsters and older people. And some people stop by, just because they are curious,” says Richu. He also says that almost all feedback the store has been getting is positive. The team eventually wants to come up with an in-house wallet or credit system which the customers can use to pay for their purchases. “With time, we are looking at opening microstores in apartment complexes and offices; they will act as elevated vending machines,” Richu adds. “It is a misconception that stores operating on AI will require less personnel,” says Subhash S., the CEO. “In fact, we will need employees who are skilled in stock management, managing back-end logistics and keeping the tech smoothly running. And this could very well mean training employees we induct,” he adds. Team Watasale | Vipin Das P.
Subhash also says that the model is great for family-run kirana shops. Because he feels that if the family decides to take a franchisee of Watasale, they can manage the store without physically being there. “In most of the family-run stores we see that most of the members are present at the store—even the kids, at times. But with an autonomous store, the other members can focus on other things like education and pursuing other careers if needed,” he says. Another advantage of a store like this, according to him, is that it can stay open 24 hours in busy metros like Delhi and Mumbai. Naturally, Watasale's future plans include pan-India expansion with franchises.